I arrive at Cafe Ventoux and I’m here to talk with Brian Jordan the owner about cycling and the cafe that has created such a spark in our local area and well beyond. Based in rural Leicestershire in the quiet village of Tugby the cafe is set with a surrounding of excellent country lanes. He’s making tea and bringing it over explaining ‘I hope you like tea, its just I’m not great with the coffee machine’. No problem for me, tea is fine! 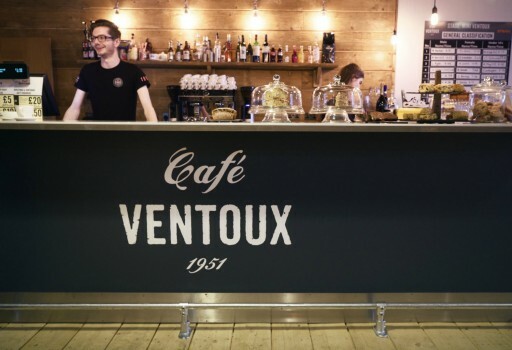 Cafe Ventoux opened last year and there has been a real buzz of excitement about the place. Lots of talk through social media and each week I see people from my strava feed heading over to the Leicestershire cafe. Cycling clubs and groups in the area all planning rides to stop for the all-important coffee and cake to refuel. The success has been evident but Cafe Ventoux is more than just a café and there are plans to grow this too. It’s a community and has turned the area into a cycling hub. 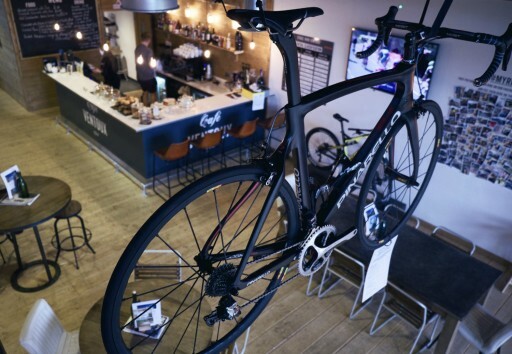 The Ventoux base also offers a cycling boutique, alongside some winter sports and ski wear. 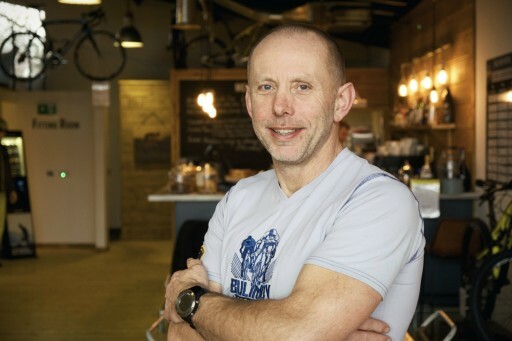 Chatting with Brian, he tells me how ‘we wanted to offer more to our customers than just a café, more like an experience.’ His ambition to grow Cafe Ventoux is evident and he has some big plans from growing the boutique side to also holding some great events throughout the year. ‘Were all really excited for what this year will bring’ he tells me, not short of enthusiasm either! Ventoux are running group rides most weeks, details can be found on their website and Facebook page. One of which has been a women’s ride, I went along to one with my sister just last month. The weather on the day was strong winds and some showers, not riding weather for the feint hearted but four hardy female riders showed up ready to hit the roads. It was a nice social ride, a great way to meet others in the area. 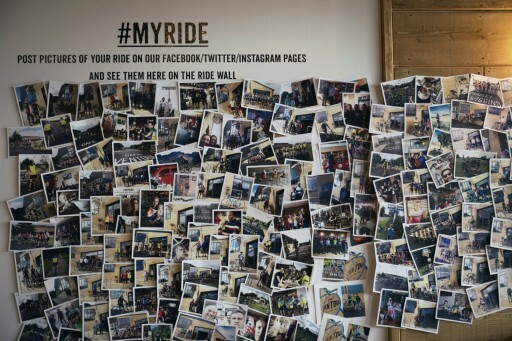 ‘We have been running the women’s rides for several months now and have been getting a really great reaction from female riders in the area. The groups meet here, we have time for a coffee and then head off.’ The cafe is set within a great location for cycling with great routes setting out from each side. We also have pro cycling sisters from Leicestershire Lucy (Wiggle Honda) and Grace Garner (Pearl Izumi Sports Tours) who have been in to visit us several times. We get such a mix of customers through the doors here, we meet so many interesting people here.’ I know from my visits to Cafe Ventoux how Brian and Rosie always take the time to speak with the customers, it’s a nice environment and most certainly worth a visit. To promote women’s cycling for us at Love Velo, it’s really important to support the brands and companies that are supportive and understand some of the barriers. You won’t find us at Love Velo cc sharing and highlighting the companies that do it totally wrong. We would much rather look at the positive side and celebrate the good. Here we have a company who are getting behind women’s cycling. You can find more information about Café Ventoux on their website which features a new page dedicated to women’s cycling.